It’s that time of year again. School has started, the days are getting a little shorter, the weather is starting to change. Before you know it Halloween will have come and gone, and it’ll be November! Is your shop ready? Are you? There’s a lot to be ready for, I can attest to that first hand. I still remember my first holiday season as an Etsy seller. I was like way shocked! Way! It was so much fun and so exciting. Not only was I making some money and feeling good about my business. I was also a part of DOZENS of people’s holiday gift giving and getting. People I’d never met getting the things I’d made as gifts, wow that was so awesome! The next year it was HUNDREDS of people. The year after that, THOUSANDS. The potential for great holiday sales online, especially on Etsy, is very very real and now is the time to start getting ready. Let’s do that together. 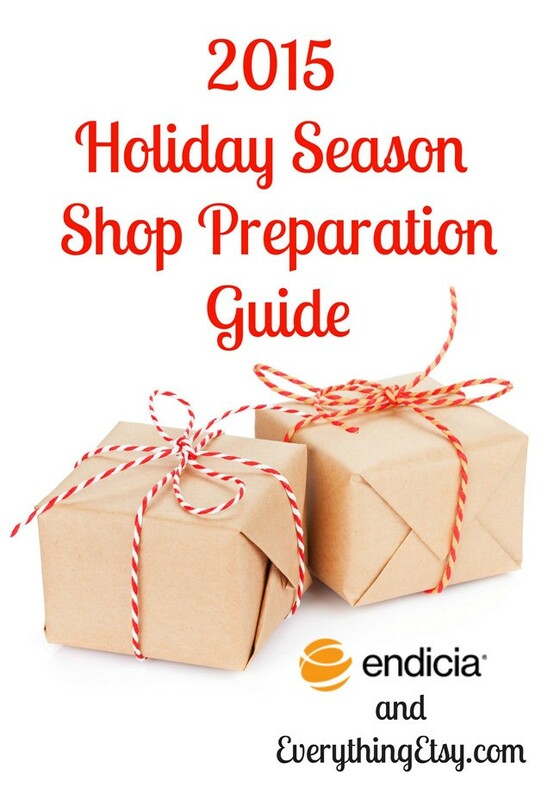 Starting next week, we’re going to publish an all-new series sharing an organized plan and set of action steps you can start taking now to make this the best holiday selling season ever for your shop! Based on years of our own experience, as well as years of learning what other Etsy sellers are doing, you won’t want to miss this. NOTE: Linked topics below lead to already published posts in the 2015 Guide… unlinked topics are coming soon. Thanksgiving Day isn’t the time to be finalizing your Black Friday offer. This is one of those things where advance planning really does make a difference. We’ll talk about the many aspects of a complete offer and give you tips and pointers for creating a compelling one that sells. It’s kind of a no-brainer that if you’ll sell more, you’ll need more to sell, but there is so much more to stocking up than just buying extra supplies. We’ll get more in-depth with this and help you plan ahead to be sure you don’t get stuck with orders you can’t fill for one reason or another. When you’re just dealing with an order or two a day, processes aren’t necessarily a requirement (although they still make things better). But when you’re dealing with ten, twenty, fifty orders a day having everything running like a well-oiled machine is going to make life so much better. It’s also going to make for happy customers, which is good for business. We’ll cover what kind of content you should produce ahead of the Holiday Sales rush and point you to resources and guides that can help you produce it like a pro. You’ll be glad you did. Is your brand ready for mass exposure? Is it memorable? Easy to recognize? We’ll talk about ways to fine-tune your brand and also look at creative ways to share it with your customers, social media followers, and anyone else you can possibly reach! Once all of the above is ready, you’re going to want to advertise a bit. Where should you advertise? What works, what is cost effective? How much should you budget? We’ll talk about advertising to increase your online sales in 2015. Whew! That’s a lot of stuff and it’s information we would normally place a premium on and charge a pretty penny for. 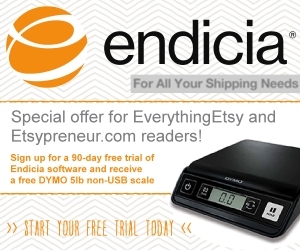 But thanks to our long-time sponsor Endicia, this won’t cost you a dime. They’ve covered it already.